Appropriately dubbed “Ski Town USA”, McCall is the perfect destination for your cross country skiing vacation. Enjoy a professional 18 hole golf course, nordic skiing and snowshoeing, restaurants, trails and a recreational center at Jug Mountain Ranch! Open to classic or skate skis, fat bikes or snowshoes, meander through meadows and forests along the trail system near the base of the resort. Nordic rentals available. Day or night during the winter season. We offer the best snow tubing courses in the world! No experiences is needed! Nor expensive gear! The Little Ski Hill in Mccall, Idaho has an alpine hill and cross country ski trails. We offer programs and events for the entire family. Explore 26 kilometers of well-groomed, dog-friendly trails at Tamarack Resort. Rent or buy all the equipment you’ll need at one of the local ski shops. 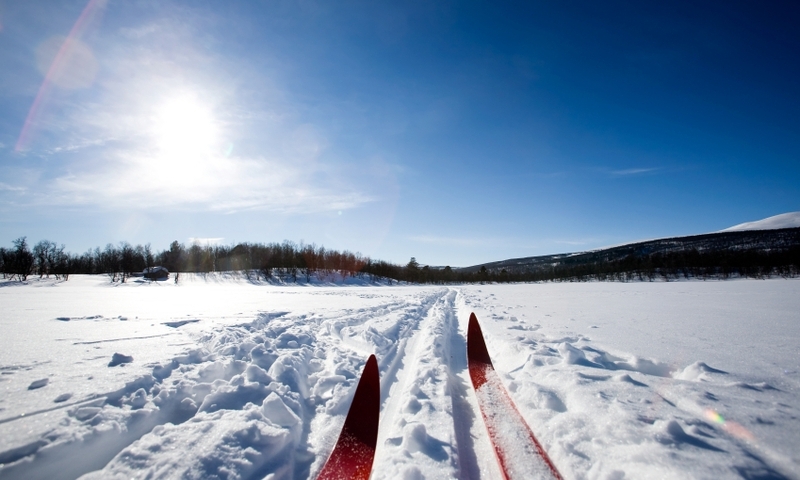 Ski on several trails at beautiful Ponderosa State Park while enjoying breathtaking views. Nearby Little Ski Hill offers 30 kilometers of cross country ski trails. McCall is a true winter wonderland for anyone who loves cross country skiing. The spectacular scenery of west central Idaho with its towering pines, thick groves of fir, and beautiful alpine meadows provides an idyllic setting for Nordic skiers. There are plenty of groomed trails awaiting those who are eager to glide along the pristine mountain snow while enjoying a crisp winter day. Ponderosa State Park - Cross country skiers can enjoy 22 kilometers of trails that meander through the woods and meadows of Ponderosa State Park on Payette Lake just outside of McCall. The overlook at Osprey Point provides a breathtaking view of the lake and nearby Brundage Mountain. Little Ski Hill / Little Bear Basin - Over 30 kilometers of groomed Nordic trails can be found at Little Bear Basin, the new facility at Little Ski Hill. It is located 3 miles outside of McCall. Tamarack Resort - Just south of McCall is a beautiful resort at Tamarack. Cross country skiers can spend hours exploring 28 kilometers of perfectly groomed trails that include smooth skating lanes and classic tracks. The dog-friendly trails take you through alpine meadows, majestic pines, hardy tamaracks, and picturesque aspen groves. The Activity Barn - Just a few minutes outside of McCall, the Activity Barn provides 6 kilometers of scenic skate trails. Take some time to explore the numerous ski shops listed on this page that can provide you with just the right gear, apparel, rentals, and repairs for your cross country adventure.